Centre for Fashion Enterprise (CFE) has announced the future players in fashion tech for its Spring Pioneer Programme. CFE will be joined by four fashion tech innovators for this compressed 3-month programme: Little Black Door, Huedash, NeuroCreate and Radius. Supported by the European Regional Development Fund (ERDF), CFE is London’s pioneering fashion and FashTech business incubator, helping local areas stimulate their economic development by investing in projects, which will support innovation and business. This round of FashTech Pioneers demonstrate the possibilities of AI within B2B services, and the customised marketplace to consumers. Radius has developed an AI powered deep analysis engine for fashion retailers that mimics the skills of stylists and salespeople to deliver a personal shopping experience online. While NeuroCreate uses neuroscience and AI to assist the creative industries, focusing specifically on innovation and conceptualisation stages in the creative design process. Little Black Door and Huedash offer personal and community-based marketplaces. To be selected by CFE, and to be associated with the London College of Fashion, is huge validation of our work. With the support of the programme, we can further develop our BETA product - an inventory platform with integrated valuation algorithms - which we plan to pilot in London in the next six months. From there, we will look to release our MVP to the fashion community at large. Little Black Door, an intelligent wardrobe inventory platform that opens up to a premium managed marketplace, giving users a digital wardrobe that allows them to play and value what they own and quickly swipe to sell or rent. Little Black Door are re-thinking the approach to how we operate and value our wardrobes and reworking the traditional secondary marketplace (luxury resale) model, by combining wardrobe inventory technology with marketplace functionality (sales and rent) and layering it with a premium service offering to create the ultimate wardrobe management system. Huedash works as a mobile app where people shop from peer photos and get rewarded for promoting their recent purchases. It provides precise ROI tracking, enables existing customers-ambassadors to share relevant content that sells to other customers and also makes the path from discovery to purchase shorter and easier from browsing to purchasing. Huedash rewarding system is transparent where customers – ambassadors know precisely the outcome from their sale. Lastly, the Huedash tool is a source of data for future analytics on customer engagement for fashion brands, retailers and creative agencies. NeuroCreate is using a 'Symbiotic Human-centered Design with AI’ approach for intuitive tech augmentation of brainstorming sessions. The FlowCreate™ Innovator combines AI, neuroscience and design-thinking frameworks to create a digital platform that accelerates ideation to assist the creative industries, specifically at the innovation and conceptualisation stages in the creative process, using a 'Symbiotic Human-centred Design with AI’ approach for intuitive tech-enablement of brainstorming sessions. 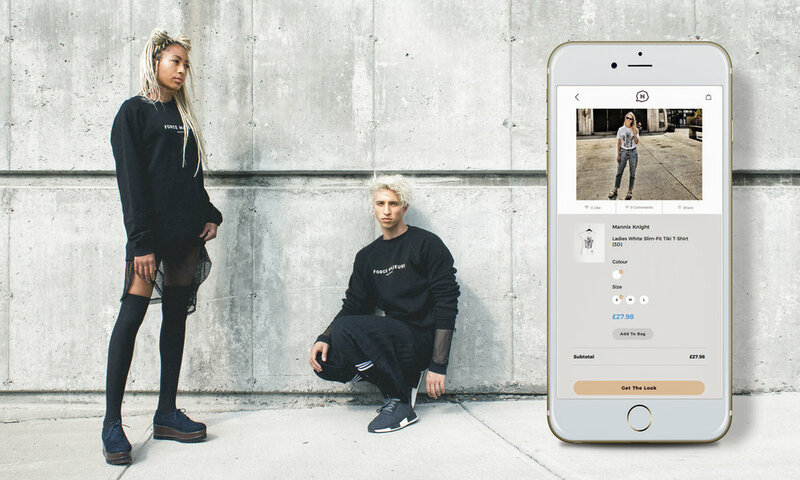 Radius has developed an AI powered deep analysis engine for fashion retailers that mimics the skills of stylists and salespeople to deliver a personal shopping experience online. The engine provides personalisation and guidance on fashion trends, consumption habits, consumer biases & market positioning, to provide online customers with a zero-friction shopping experience. CFE’s Fashion Technology Emerging Futures (FTEF) project is instrumental to the new eco-system emerging in London that recognises the convergence of fashion and technology SMEs. Through its tailored support programmes, CFE builds confidence in these businesses to adopt and innovate their business models, products, and services. In turn, new fashion and lifestyle products are grown and digital marketing and retail solutions are developed, boosting London’s high-value fashion and retail sector. The project is receiving up to £4.8m of funding from the England European Regional Development Fund as part of the European Structural and Investment Funds Growth Programme 2014-2020. The Ministry of Housing, Communities and Local Government (and in London the intermediate body Greater London Authority) is the Managing Authority for European Regional Development Fund. Established by the European Union, the European Regional Development Fund helps local areas stimulate their economic development by investing in projects which will support innovation, businesses, create jobs and local community regenerations. For more information visit https://www.gov.uk/european-growth-funding.